PennsylvAsia: Jung-ho Kang on Instagram. 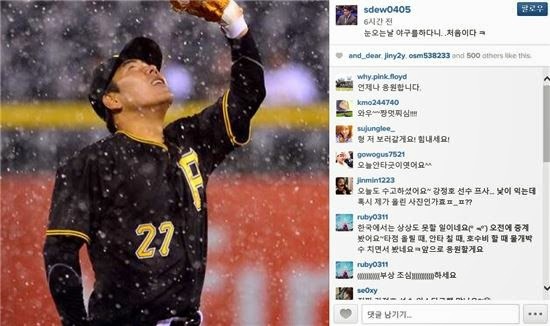 The Korean media is watching Jung-ho Kang's Instagram, too. "눈오는날 야구를하다니. .처음이다 ㅋ" Kang wrote on the 23rd. Roughly: "Playing baseball in the snow . . That's a first ha". His handle is sdew0405.